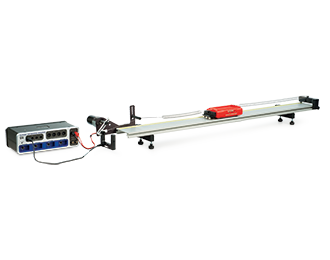 The oscillator consists of a Smart Cart attached to two springs. 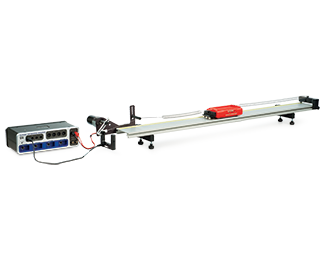 The damping is provided by magnets mounted on the Smart Cart that cause eddy currents in the aluminum track. The amplitude of the oscillation is plotted vs. the driving frequency for different amounts of magnetic damping. Increased damping is provided by moving adjustable magnets closer to the aluminum track.